Is there a better alternative to CornerChaos? Is CornerChaos really the best app in Puzzle category? Will CornerChaos work good on macOS 10.13.4? CornerChaos is a new and unique puzzle game! It's very easy to learn and great fun to play! The object of the game is to drop the colored balls into the holes located near the four corners of the play area. The ball then rolls into the sloped arena and lays to rest towards the center. If four balls of the same color are touching, they're removed from the game! 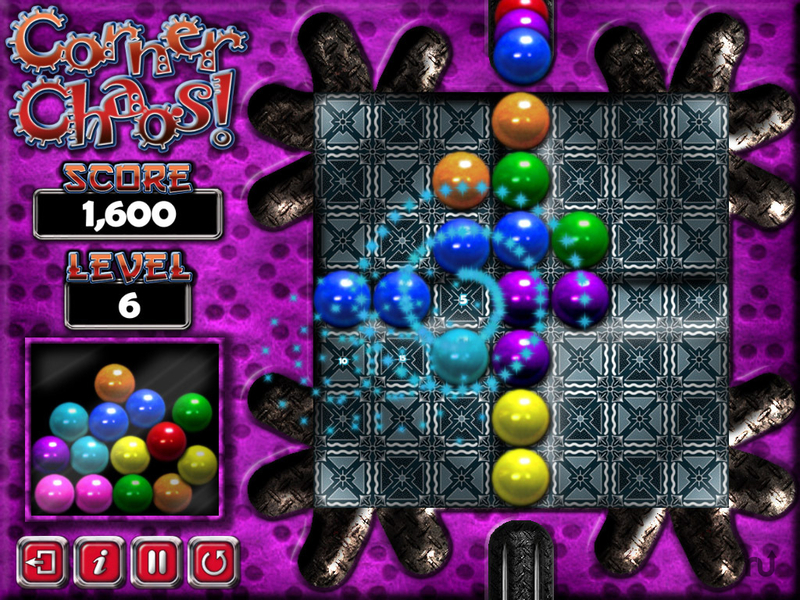 As the levels progress, the number of different balls increases making it more difficult to create color groups. With no time penalties you can play the game at your own pace. The controls are very easy to master; this is a most relaxing game for all ages! Fixed a problem with alternaive ball animations. Fixed a screen mode change problem. Fixed some errors with rolling/bouncing balls. CornerChaos needs a rating. Be the first to rate this app and get the discussion started!